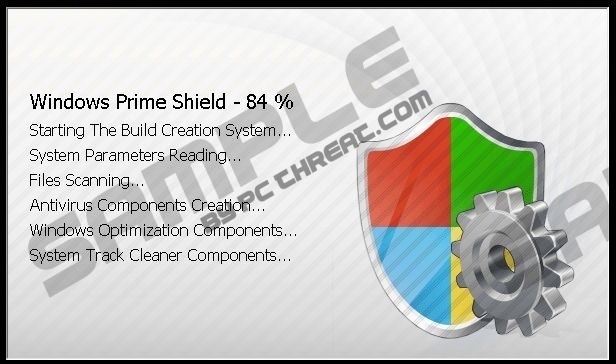 Windows Prime Shield is a rogue anti-virus program which belongs to a group of malware called Rogue.VirusDoctor. The application replaces a lot of identical bogus computer security tools, all of which have attempted to deceive unsuspecting computer users. More specifically, Windows Prime Shield is a clone of Windows Prime Booster, Windows Virtual Protector, Windows Accelerator Pro and many other malicious programs. The deception begins once the application is installed, and you should resist pressure to buy the license for the fake computer security program. Windows Prime Shield is a computer infection, which has to be removed from the computer as soon as possible. Activate Windows Prime Shield to get ultimate protection against Identity Theft, Viruses, Malware and other threats. C:\program files (x86)\internet explorer\iexplore.exe is suspected to have infected your computer. This type of virus intercepts entered data and transmits them to a remote server. The goal of the malicious program is to convince you that your computer is heavily infected with numerous Trojan horses and other threats, which are presented by a fake scanner. The application starts running once your Windows OS starts up and disables your executable file and Windows security components. Windows Prime Shield cannot be turned off just because you are supposed to access the purchase form of the program and buy the license, whose price vary from $49.95 to $99.9. It is crucial that you ignore all the malfunctions that occur because all of them are caused by Windows Prime Shield. Bear in mind that by filling in the payment form you risk your privacy. Your name, e-mail address, credit card number, its expiration date, CVV2 number and other personal information may be illegally used by the developers of the malicious programs; hence, instead of wasting your money on useless computer program, take measures to fix the system, i.e., to remove Windows Prime Shield from the system. After removing Windows Prime Shield, you will find that you can launch executable files and browse the Internet without difficulty. In order to remove Windows Prime Shield, we recommend that you implement a spyware removal tool. The instructions below will help you install a spyware removal tool. Start tapping the F8 key once the BIOS splash screen (information on your hardware) loads. Type cd.. next to the line C:\Windows\system32\ and press Enter. When a new line appears, type in \explorer.exe and press Enter. Type %appdata% in the search box. On Windows XP, open the Run command and type in %appdata%. Type in regedit and press Enter. On Windows XP, open the Run command and then type in regedit. Go to HKEY_CURRECT_USER\Software\Microsoft\Windows NT\Current Version\Winlogon. Right-click on “Shell” and click Modify. Type in %WinDir%\Explorer.exe and click OK.
Close Registry Editor and go to http://www.pcthreat.com/download-sph to download SpyHunter. Quick & tested solution for Windows Prime Shield removal.